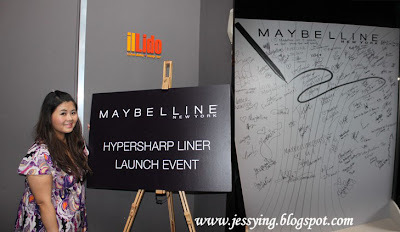 I was invited to attend Maybelline Hypersharp Liner Launch Event a while ago and only by now I got time to blog about this. The event was held at the il Lido Italian Dining & Lounge Bar in Off Jalan Yap Kwan Seng, KL. The event was to launch their latest Maybelline Hypersharp Liner which by now has been in a market for a while. We are told that this Maybelline Hypersharp Liner is currently No 1 eyeliner in Japan and has the sharpest point only at 0.05mm at the tip hence the an eyeliner line able to be drawn as close as possible to the lash line, provide the precise coverage. Apart from that, I was told that this eyeliner does not stain, smudge and water/sweat/sebum proof which can give long lasting effect up to 24 hours. Members of the media including bloggers are listening carefully to the presentation. 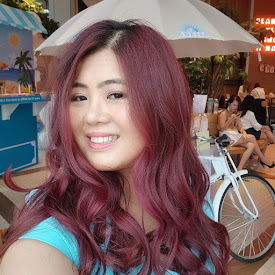 Below are 8 awesome looks that has been created by local popular magazines editors (Marie Claire, Female, Eh, Cosmopolition, Remaja, Cleo, My women's weekly and Nuyou). And because of the high precision that the eyeliner can give, these editors has came out with creative fine arts to be drawn on face using the pencil eyeliner only. Indeed very creative right ? Finally me & the super giant Maybelline Hypersharp Liner. Check out the latest Maybelline New York Hyper Sharp Ultra-Fine Liquid Liner which is now available at all Maybelline counters in most leading pharmacies nationwide for only RM23.90. 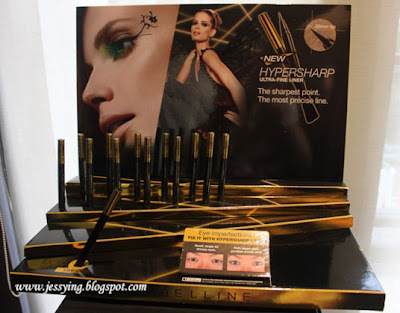 Remember to stay tune for my review on Maybelline Hypersharp Liner. Laura: Oh gosh! I wanted to purchase this yesterday but I didnt because it was oos in my watson (ool mine!!) but luckily... fuh..